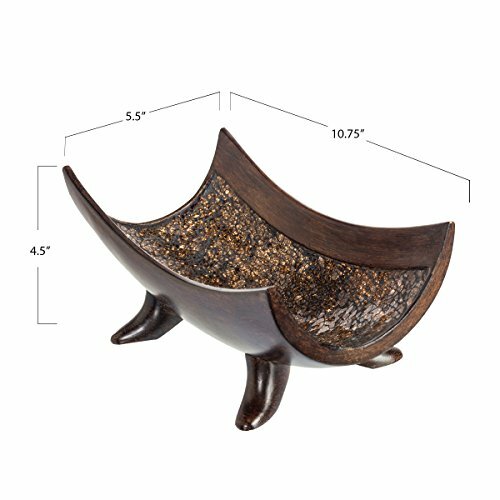 HIGH QUALITY DESIGN: Masterfully designed, this 10" x 5.5" x 4.5" décor bowl ensures maximum durability. 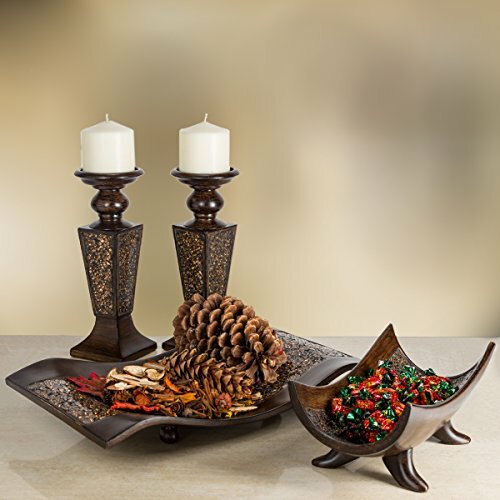 Everything from the intricate detailing to the sturdy feet are carefully constructed to keep this decorative table accents bowl looking great. 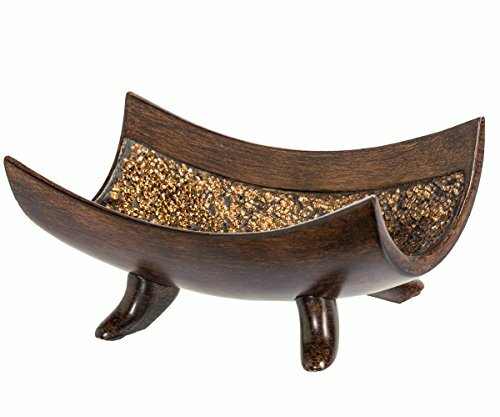 BLENDS SEAMLESSLY: Whatever your home or office decor whatever your color scheme, this walnut decor bowl blends seamlessly with your space. Place it in the living room, dining area or reception area in the office. LOVELY PRESENT: This is that one gift you simply can't go wrong with. It's the perfect present to crown any anniversary, wedding, housewarming, Mother's Day, Christmas, or birthday. 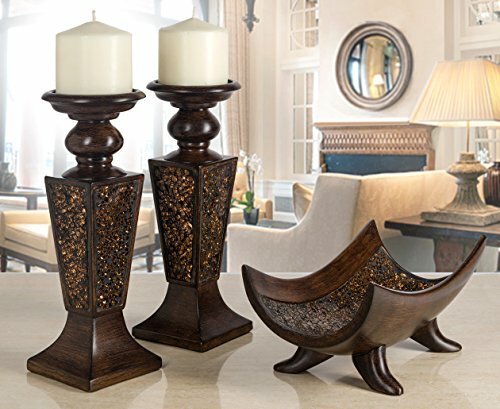 Click 'Add to Cart' now for a uniquely beautiful accent piece!